Tick has 3 males and 7 females! We will now start taking deposits here Tick x Ceasar 2019.02.20 Male/Female $950 for AKC Limited Registration. $300 deposit required for reservation. 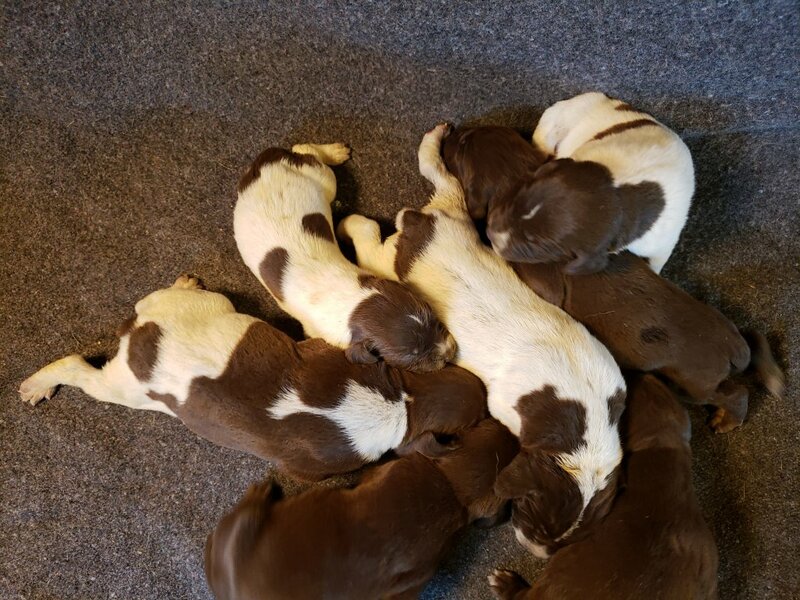 Many of you have been anxiously awaiting this litter and it arrived sooner than we had planned. As I write this, it is very late and she should be finishing up soon. 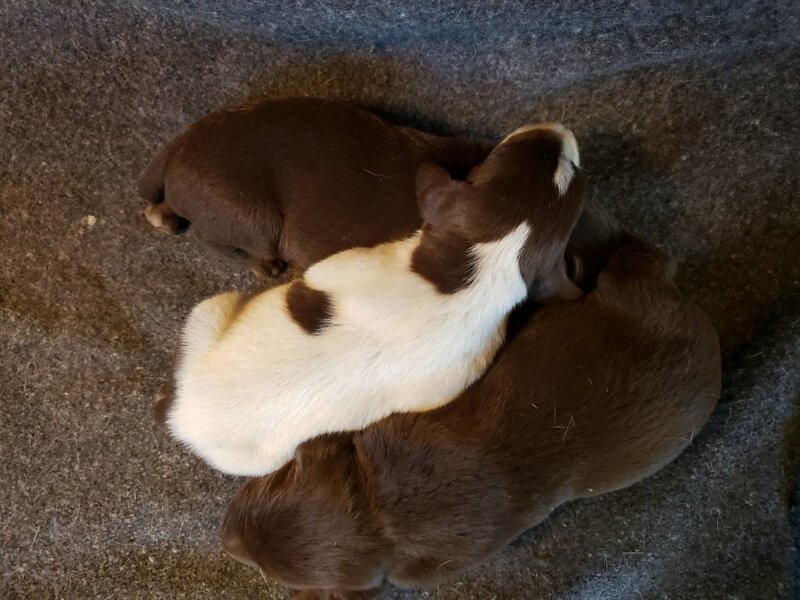 Check back Thursday 2/21 for the final count and watch for a new litter page with the corresponding Paypal buttons to reserve your pick of the litter. 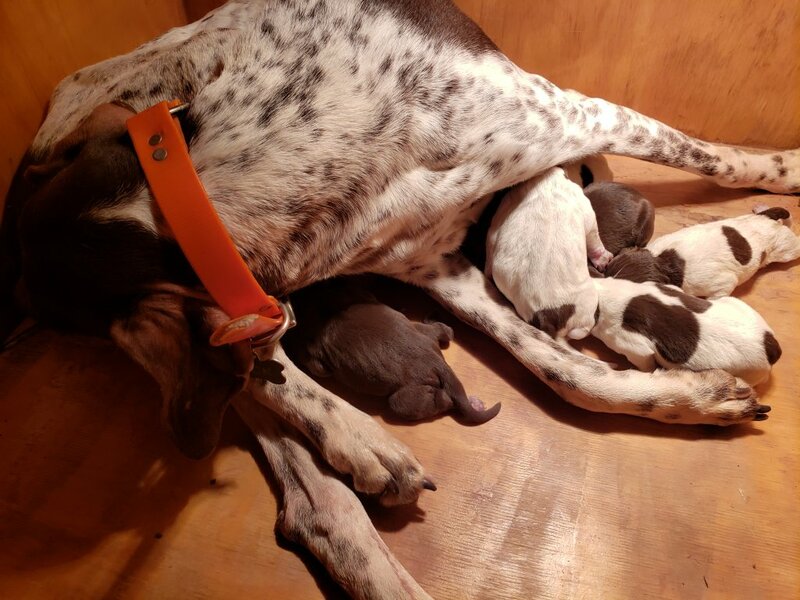 We are very excited that Tick and the pups are doing great. 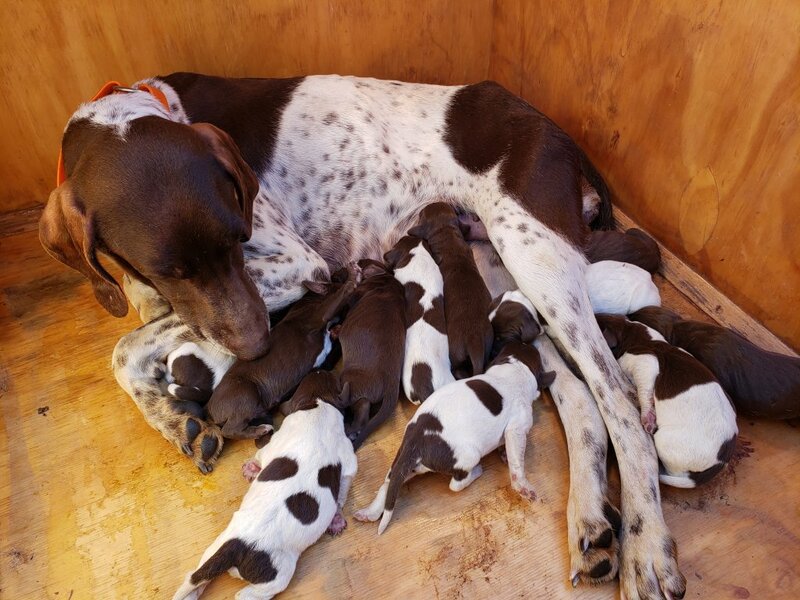 IdahoShorthairs.com is a participant in the Amazon Services LLC Associates Program, an affiliate advertising program designed to provide a means for sites to earn advertising fees by advertising and linking to Amazon.com.